iCliniq › Ask a doctor online › Answers › Internal Medicine › Low Hemoglobin › Will eating raw rice result in low hemoglobin? Q. 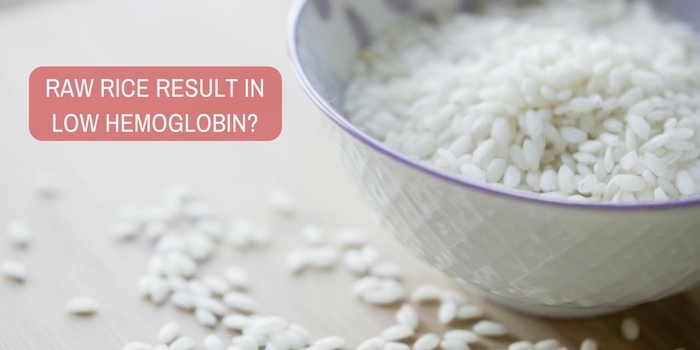 Will eating raw rice result in low hemoglobin? Answered by Dr. Chaithanya R and medically reviewed by iCliniq medical review team. I am suffering from low hemoglobin levels. I have attached my laboratory test report. I have a habit of eating raw rice, which I am suspecting as the reason for this low count. Kindly have a look and prescribe medicines to increase my hemoglobin levels. I am currently taking Orofer XT one tablet a day. I am a 26 year old male. My height is 177 cm and weight is 67 kg. • I had given a wrong dosage of Albendazole to my baby. Is there a problem? • My 6 year old daughter is very weak and refuses to eat. Can I give her Albendazole? I do not think that the raw rice is causing this problem, but you are anemic. You can continue Orofer XT at daily one tablet for three months without missing. Stop taking raw rice. I suggest Albendazole 400 mg one tablet a day as this can kill any worms. Consult your doctor, discuss with him or her and take the medicine with consent. Do you have any other symptoms? Have you been to any doctor? I do not have any other symptoms. I have not been to a doctor in person, but had a consultation over the phone and explained my problem along with the reports. He suggested me to go with Orofer XT. I just wanted to confirm the same and also like to know if there is any other better way to improve hemoglobin. I read an article in which a 26 year old woman consumes a bowl of raw rice every evening. After three years, skin and conjunctiva paleness were seen. But, otherwise she was normal. Her laboratory test showed iron deficiency anemia and she was diagnosed to have pica. This is the reason for my assumption of eating raw rice could be the cause for my low hemoglobin levels. This is pica, an irresistible desire to eat anything such as sand, mud, etc., and not only raw rice. You just ignore it. Make a habit to eat dates and green leafy vegetables on a daily basis. Jaggery also can help. Do not eat raw rice. Please continue your medications.